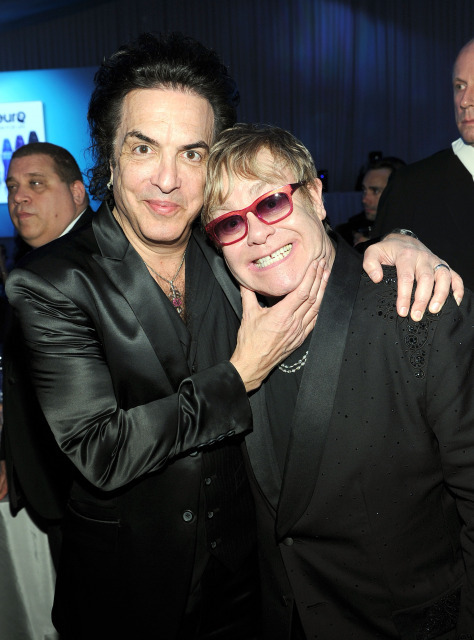 ★ Paul & Sir Elton John ☆. . Wallpaper and background images in the Paul Stanley club tagged: paul stanley sir elton john academy awards 2012. This Paul Stanley photo contains کاروبار سوٹ and بزنس سوٹ. There might also be دھوپ, سیاہ شیشے, رنگوں, سائے, سوٹ, کپڑے کا سوٹ, لباس سوٹ, مکمل لباس, tailcoat, پونچھ کوٹ, دم, سفید ٹائی, سفید ٹائی اور دم, تالکوت, and دم کوٹ.